Photographer Rachel Prudhomme has finally settled in Ministry, Alabama. Sure, the pace is slower, and she's had her heart blessed more times than she can count, but putting down her roots where her family is feels right, if only the town’s new doctor and now neighbor weren’t so hot and constantly igniting her dreams. How can she keep her vow to steer clear of men when he k Photographer Rachel Prudhomme has finally settled in Ministry, Alabama. Sure, the pace is slower, and she's had her heart blessed more times than she can count, but putting down her roots where her family is feels right, if only the town’s new doctor and now neighbor weren’t so hot and constantly igniting her dreams. How can she keep her vow to steer clear of men when he keeps sauntering across her path? To ask other readers questions about Christmas, Alabama, please sign up. Christmas celebrations in Ministry, Alabama are truly a community series of events! Little did Dr Nicholas (Nick) Sullivan realise just how much his life was about to change when he was coerced into working over Christmas. He thought the small town would be ill-equipped, insular and somewhere he couldn’t wait to escape from - he was so wrong! Get ready for the predatory single ladies to get cooking to try to win his heart . . . . whilst his next door neighbour, photographer Rachel Prudhomme, prov Christmas celebrations in Ministry, Alabama are truly a community series of events! Little did Dr Nicholas (Nick) Sullivan realise just how much his life was about to change when he was coerced into working over Christmas. He thought the small town would be ill-equipped, insular and somewhere he couldn’t wait to escape from - he was so wrong! Get ready for the predatory single ladies to get cooking to try to win his heart . . . . whilst his next door neighbour, photographer Rachel Prudhomme, proves to be the real attraction. They agree to pretend to date to put off the other ladies but fate has other plans for these two, plans that contrary parents, a huge snowstorm and Christmas events all play important roles in. This is a delightful community who welcome you into their midst, taking readers into the heart of the festive fun and drama in this highly entertaining romance - a special season story that is great to escape into! A delicious small town story. This is the first one I read in the series and even though this is a standalone I can tell I'm missing information about some characters. I will be reading the other books in the series--love the characters and the setting. There’s just something about a small town romance that will always draw me in. The quaint, charming setting – the quirky, lovable people – and the traditions, as well as the drama that truly can only be found in a small town. For those who’ve been born and raised in the big city suburbs, small town USA might as well be located on another planet. That’s kind of how Nick Sullivan was feeling when he discovered that due to the small fact his contract with the big city hospital was almost up, well – he got the short straw to head to a small hospital in the middle of nowhere for the next six weeks or so to fill a shortage. Doctors should go where they’re needed, but Ministry, Alabama was the last place Nick would have willingly gone. And his misconceptions about what and who he’d find there were 98% wrong. His eyes were about to be opened to the joys and intricacies of small town living. Rachel is loving her life in Ministry, Alabama. She has family here now, and it’s as far away from their past as a person can get. Here her photography business is taking off with dreams for so much more in the near future. She has a sweet apartment near the center of town, a lovely landlady who not only provides affordable living space but delicious baked goods from her oven as well. She’s happy, and due to her father’s actions, and the consequences, she hasn’t been truly happy in a long time. But her world is about to be rattled when big city meets small town… and falls in love. Christmas, Alabama is such a fun read, a lively romance full of good hearted people, long held traditions, the craziness that is family and two people who are turning out to be exactly what the other needed. It doesn’t take Nick long to change his tune about small towns, and that’s a good thing because he was not my favorite person for a little bit there, down talkin’ small towns the way he was. Rachel and Nick have a few issues to deal with, like their families and that drama, having a limited time together,Rachel’s trust issues, and falling in love. With the help of good friends, new friends, and family they’ll discover that exactly what they need is within reach, they just have to reach out and trust in themselves. If you’ve read the Alabama series then you’ll be meeting up with old friends and getting an update on their lives since we last met. I love when a story can bring together once again couples who I’ve rooted for to find their happy ending. It’s part of why I’m addicted to series. I’d highly recommend this Christmas visit to Ministry, Alabama for any reader who loves a good small town romance, likable characters, Christmas galore and a sweet happy ending. If you are looking for a fun read with a ton of humor Southern style and a sweet romance, Christmas, Alabama is the book to get. Susan Sands writes with such a flair that you fall into the novel easily and stay there with joy. Rachel moved with the rest of her small family (mother and sister) to Ministry, Alabama after the disaster her father wrought in his New Orleans scandal. She is establishing her photography business in the small town and loving its warmth and inclusion. 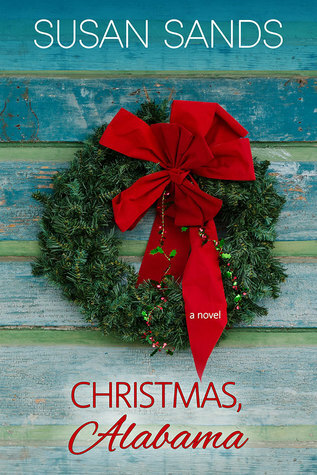 Nick Sullivan has be If you are looking for a fun read with a ton of humor Southern style and a sweet romance, Christmas, Alabama is the book to get. Susan Sands writes with such a flair that you fall into the novel easily and stay there with joy. Rachel moved with the rest of her small family (mother and sister) to Ministry, Alabama after the disaster her father wrought in his New Orleans scandal. She is establishing her photography business in the small town and loving its warmth and inclusion. Nick Sullivan has been coerced into coming to Ministry as a trauma surgeon and doctor in order to hopefully achieve his ultimate dream later. He has no intention of staying in Ministry after his six weeks are done. He finds that both Ministry and Rachel grow on him against all his former protestations. Rachel is guy-shy and is so drawn to Nick that it scares her. There is a lot to work out if their budding romance is to survive. Ministry, Alabama is a beautiful small town with interesting, quirky, characters. Ministry at Christmas is just amazing. Rachel Prudhomme has finally joined her mother and sister, Sabine, in Ministry and is working hard on her photography business, hoping to finally have a studio of her own. The last thing she wants or needs is a man. Nick Sullivan has his eye on a prestigious position in Atlanta and is frustrated when he is told that he needs to spend the rest of the year at Ministry's hospital Ministry, Alabama is a beautiful small town with interesting, quirky, characters. Ministry at Christmas is just amazing. Rachel Prudhomme has finally joined her mother and sister, Sabine, in Ministry and is working hard on her photography business, hoping to finally have a studio of her own. The last thing she wants or needs is a man. Nick Sullivan has his eye on a prestigious position in Atlanta and is frustrated when he is told that he needs to spend the rest of the year at Ministry's hospital. Mentally dreading the "demotion," he is more than pleasantly surprised to find a well-equipped hospital with a well-trained staff. When the mayor's very pregnant wife ends up in the ER with her sister, he finds himself invited to Thanksgiving dinner with the whole (large) Laroux clan, including Rachel, and, soon after, her neighbor. When they decide a fake romance would be good for them both, it isn't long before they are on their way to something more. This is book 4 in the series, and I enjoyed it as much as I did the first three. I love returning to ministry with it's quirky characters and the Laroux family. It can be read as a stand alone, but it is such a fun series, you will want to keep visiting. Such a cute read. It's a wonderfully sweet romance with lots of southern humor, very little angst, and some pretty amazing characters. It's just a nice easy read that will leave you with a smile. Dr. Nicholas Sullivan thought being sent to Ministry, Alabama was the worst thing that could have happened. That is until he meets Rachel Prudhomme. Rachel is new to Ministry too but she has family and has gotten to know a few people in town. Too bad she's sworn off men for a while. The handsome doctor i Such a cute read. It's a wonderfully sweet romance with lots of southern humor, very little angst, and some pretty amazing characters. It's just a nice easy read that will leave you with a smile. Dr. Nicholas Sullivan thought being sent to Ministry, Alabama was the worst thing that could have happened. That is until he meets Rachel Prudhomme. Rachel is new to Ministry too but she has family and has gotten to know a few people in town. Too bad she's sworn off men for a while. The handsome doctor is quite the catch! There is something special to me about a story set in a small town. I believe it is because I loved my summers with my grandparents who lived in a small Kansas town. When I read about the quirky people and places in these small-town USA stories, it takes me back immediately. Christmas Alabama by Susan Sands does that for me. It makes me remember the fun, camaraderie, and happiness of my youth. Christmas Alabama features Rachel Prudhomme, Ministry’s rising photographer, and Nick Sullivan, the There is something special to me about a story set in a small town. I believe it is because I loved my summers with my grandparents who lived in a small Kansas town. When I read about the quirky people and places in these small-town USA stories, it takes me back immediately. Christmas Alabama by Susan Sands does that for me. It makes me remember the fun, camaraderie, and happiness of my youth. Christmas Alabama features Rachel Prudhomme, Ministry’s rising photographer, and Nick Sullivan, the substitute doctor. Rachel comes to Ministry after leaving her hometown of New Orleans following her father’s political scandal. She finds that the people here accept her while encouraging her photography career. After everything her father did to the family, Rachel has a hard time trusting men and an even harder time falling for one. There is no way that she is ready to get in a relationship and get her heart broken. Nick Sullivan is from a wealthy Atlanta family. He is a planner and knows he wants the prestigious surgical job at Emory’s Trauma unit. Unfortunately, his superiors throw a little wrench in his plans when they send him to the small town hospital in Ministry. Nick goes kicking and screaming. Nick only agrees to temporary assignment after the Emory job is all but promised while they continue to look for a permanent replacement. Rachel and Nick’s relationship develops nicely. They start out with a connection that morphs into friendship. Racheal helps Nick avoid the pressure from the single women in town (who outnumber the single men) by pretending to be his girlfriend. Before long the relationship grows, but they both know it can’t be permanent as Nick will head back to Atlanta. Racheal can’t see herself in a big city again. Can they find a compromise? I like that Ms. Sands avoids some of the predictable paths. There are a lot of events that are representative of small towns. These are sweet and comforting. Nick is surprised to find that his initial misconceptions about small town living are wrong. Rachel sees something in Nick that restores her faith in men. The family dynamics, exes, and neighbors add laughs and heartache to the story. Christmas, Alabama is the first book by Susan Sands that I have read. I think I may have to look for some others. The story is typical for this type of romance. I found the town and the people to be entertaining. While I enjoyed reading the story, the typo's and the complete paragraph, repeated on page 174, interfered with my enjoyment. Just wondered if anyone ever proofreads books anymore or if they just rely on spell-check to see to their usage and grammar. All in all, an enjoyable read. Thanks Christmas, Alabama is the first book by Susan Sands that I have read. I think I may have to look for some others. The story is typical for this type of romance. I found the town and the people to be entertaining. this is Rachel Prudhomme and Dr. Nicholas Sullivan's story. Nick and Rachel can’t help but notice the powerful emotional and physical attraction between them. Will a Christmas miracle be all it takes to make all of their dreams come true? read this book to find out. Christmas, Alabama by Susan Sands is a wonderful well written 5 star book. Southern charm, holidays and lovely romance- a great book to read at Christmas time. I think I will read the whole Alabama series. I enjoyed this book that much. Rachel Prudhomme having grown weary of her wanderer life has decided to put down roots in Ministry, Alabama. She's not looking to lose her heart though since it was broken by the man she once idolized; her father. Dr. Nicholas Sullivan has his dream job within reach but a few weeks in a hospital in Ministry, Alabama is a pre-requisite. so he packs up and moves in, right next to Rachel. An amicable friends with benefits relationship ensues. But as Nicholas' time in Ministry draws nearer to the end Rachel Prudhomme having grown weary of her wanderer life has decided to put down roots in Ministry, Alabama. She's not looking to lose her heart though since it was broken by the man she once idolized; her father. But as Nicholas' time in Ministry draws nearer to the end, Rachel realizes she's invested more of her feelings that she bargained for. And now she might just lose the one man that she can trust with her heart. I love the South and small towns. This book brings back a feeling of home for me. Once I read the first page I couldn't put it down. Susan Sands captures so much in her books! Love, family, happy endings. I LOVED this book. This is photographer Rachel Prudhomme and Dr. Nicholas "Nick" Sullivan's story. Christmas, Alabama by Susan Sands is a cute city come to country story. Rachel is a transplant but is happy to settle in Ministry, Alabama. The small-town life suits her fine especially since she has a sibling who lives there too. Neighbor, Dr. Nicholas Sullivan is there from Atlanta, but only for the short term. Different perspectives, different dreams but one major attraction for these two. What follows is a fun fake romance story that is fill with Southern charm. Christmas, Alabama is the fo Christmas, Alabama by Susan Sands is a cute city come to country story. Rachel is a transplant but is happy to settle in Ministry, Alabama. The small-town life suits her fine especially since she has a sibling who lives there too. Neighbor, Dr. Nicholas Sullivan is there from Atlanta, but only for the short term. Different perspectives, different dreams but one major attraction for these two. What follows is a fun fake romance story that is fill with Southern charm. Christmas, Alabama is the fourth book in the Alabama Series. This is a series that has taken time for me to warm up too. This being my favorite so far. The small-town atmosphere, the townspeople, even the quirky ones, the caring family and Christmas in the South, with some surprises at that, make this an enjoyable read. A very sweet love story with a great small town Christmas backdrop. Nothing can compare to love in a small town!! I loved Christmas,Alabama. This is book 4 of Ms Sands series titled Alabama. Though it’s a stand alone, I suspect I would have liked it better if I had read the previous books. Characters from those stories play a prominent role in this story, so I frequently felt disconnected to the plot. The story centers around Rachel Prudhomme and Nick Sullivan. Rachel is Ministry’s photographer who moved to the town after a scandal with her Dad in their hometown of New Orleans. Her sister is living there with her family and Rachel fee This is book 4 of Ms Sands series titled Alabama. Though it’s a stand alone, I suspect I would have liked it better if I had read the previous books. Characters from those stories play a prominent role in this story, so I frequently felt disconnected to the plot. The story centers around Rachel Prudhomme and Nick Sullivan. Rachel is Ministry’s photographer who moved to the town after a scandal with her Dad in their hometown of New Orleans. Her sister is living there with her family and Rachel feels right at home. It’s a magical place ,especially during the holidays. A place she wants to plant roots . Nick is a trauma surgeon in Atlanta who has been assigned short term to work at Ministry General prior to his promotion in Atlanta. He goes there with the belief that the town is a podunk town filled with hicks. He’s in for a big surprise on the professionalism and state of the art hospital and it’s staff, the townspeople and in particular his new neighbor, Rachel. One looking for roots in the town, another considering a springboard for greater things. The story is about family, friendships, a unified town with it’s own set of interesting characters, misconceptions, new dreams and love. All that said, I was a bit disappointed in the book. The first 1/4 of the story moved quickly and was very entertaining and engaging. Then for me, it dragged and I found myself leafing through the pages and reading snippets until the last 1/5 of the book when it picked up. By then my interest had dwindled. Again, maybe had I read the previous stories, my impression would have been different. I was gifted this copy by Tule Publishing. The opinions expressed are solely my own. Christmas, Alabama is the latest edition in Susan Sands' Alabama series. These stories are set in the town of Ministry AL. Rachel Prudhomme, a talented photographer, moved to town to join her sister Sabine and her mother, who have relocated from New Orleans. Sabine, a psychologist, set up practice here and then met and married the town's mayor, Ben Laroux. Rachel has also found home and solace in this small town. Dr. Nick Sullivan was brought to Ministry against his will. Low man on the totem pole and at the end of his contract with Grady Trauma Center in Atlanta, he was cajoled into taking a short term assignment at Ministry General with the promise of moving to Emory Hospital upon his return. He expected it to be a long six weeks, especially since it spanned all of the holidays. What Nick didn't expect was the hospitality of the small town, or the honesty of his new neighbor. He was also taken aback by the forwardness of the single women of Ministry. After a particular unsettling confrontation with one such lady, Nick proposes the idea that he and Rachel have a "fake" relationship to ward off the local ladies. As Rachel's family has been on her to find a nice man, she willing goes along with the plan. What neither of them expected was that it wouldn't be pretending. In a delightful tale of love and family, Ms. Sands spins a wonderful tale that is a good read any time of year. Although this is a part of a series, it definitely stands alone. I very much enjoyed and do recommend this book. I just love holiday stories with family, excitement and of course drama. All families have drama, especially during the holidays and Ms. Sands has written a tender, down to earth story that will warm your heart and make you long for a simpler time of life. (At least it did for me). All the characters of the story, (and I mean the entire town) are so down to earth and relatable. I don’t want to give away the storyline or repeat the synopsis, so I will simply say this holiday story, about love, dr I just love holiday stories with family, excitement and of course drama. All families have drama, especially during the holidays and Ms. Sands has written a tender, down to earth story that will warm your heart and make you long for a simpler time of life. (At least it did for me). All the characters of the story, (and I mean the entire town) are so down to earth and relatable. I don’t want to give away the storyline or repeat the synopsis, so I will simply say this holiday story, about love, drama and families, is one of the best that I have read in a long time. It has moments of fun, laughter, sadness and romance. It makes you want to curl up on the couch in front of the fireplace with your family or significant other and just enjoy life. I offer 2 thumbs up to the author for a job well done and I hope the Alabama series has more to come. If you haven’t read the Alabama series, I Highly recommend 1-clicking them, it’s a journey you do not want to miss out on. Book 4 in the Alabama Series and it’s Christmas, I love Christmas and that’s what drew me to this book and I really enjoyed it even though I haven’t read the previous 3 books. Susan Sands is a new author to me but not for long I’m going to be checking out the rest of this series. Dr Nicholas Sullivan has been sent to Ministry, Alabama and he really is not happy about it, that is until he meets local photographer Rachel Prudhomme who moved to the town after a scandal involving her father happened Book 4 in the Alabama Series and it’s Christmas, I love Christmas and that’s what drew me to this book and I really enjoyed it even though I haven’t read the previous 3 books. Susan Sands is a new author to me but not for long I’m going to be checking out the rest of this series. Dr Nicholas Sullivan has been sent to Ministry, Alabama and he really is not happy about it, that is until he meets local photographer Rachel Prudhomme who moved to the town after a scandal involving her father happened in New Orleans. Neither looking for love but sometimes our hearts have to win the fight with our minds. A holiday story with a lot of loveable characters, every person in this book has a story to tell and that’s why I will be going back to read the rest in the series. This book has it all, a wonderful family and lots of emotion, all in all a great holiday read. Another quick wonderful read from Susan Sands. As an Alabama girl I love finding books set in Alabama that actually ring true to the south. This is another delicious romance by Susan Sands. I enjoyed every second of it and can't wait to read more from her. Her characters are all so likeable. Even the ones you shouldn't really like are loveable in their wackiness. I received a egalley of this book from Netgalley in exchange for my honest review. Thoughts and Another quick wonderful read from Susan Sands. Nick an up and coming surgeon that is at the end of his contract and asked to go to a small town that is in need of a doctor. When Nick agrees it is not because he is happy about going, but agrees since it is only through the new year. Rachel has followed her family to the town of Ministry, Alabama. She has finally settled in and has made a name for her self as the town photographer. They make a connection but aren’t sure about starting something since he is only there for a short time. Will it b Nick an up and coming surgeon that is at the end of his contract and asked to go to a small town that is in need of a doctor. When Nick agrees it is not because he is happy about going, but agrees since it is only through the new year. Such a sweet, holiday read! True romance at its best. I loved every character in this book, they were so relatable. I loved the drama, the laughter, the romance and most of all , family. This book is such a feel good read, it will warm your heart and put a smile on your face. I highly recommend the read, you won’t be disappointed and will put you in the right mindset for the holidays that are coming. Loved this visit to Alabama. Love this cast of characters. nick and Rachel are wonderful. Raised my spirits and made me smile. Hope this isn't the last trip to Ministry! A self-described late-bloomer, Susan Sands began writing on her fortieth birthday. Her first Southern women’s fiction title, Again, Alabama, was published a mere eight years later, with the second, Love, Alabama, and her latest, Forever, Alabama, following closely behind. She is currently hard at work on her upcoming tale, Christmas, Alabama, due out this holiday season! Growing up in a small town A self-described late-bloomer, Susan Sands began writing on her fortieth birthday. Her first Southern women’s fiction title, Again, Alabama, was published a mere eight years later, with the second, Love, Alabama, and her latest, Forever, Alabama, following closely behind. She is currently hard at work on her upcoming tale, Christmas, Alabama, due out this holiday season! Growing up in a small town in Louisiana, Susan's passion for reading sparked her interest in writing—eventually. She now creates stories about the quirky characters and fascinating relationships that are uniquely Southern.